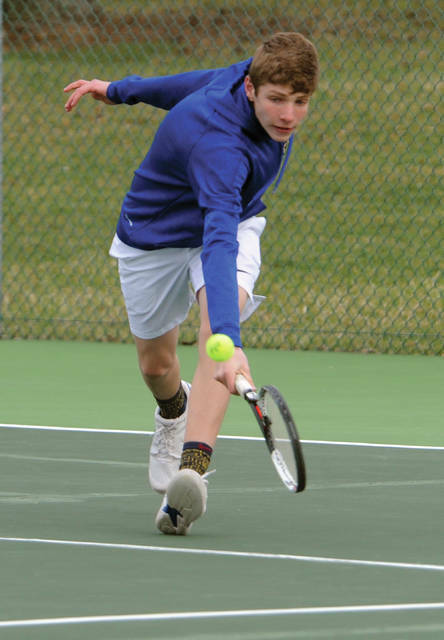 Lehman Catholic’s Danny Lins hits a forehand during a match against Piqua on Thursday in Sidney. Lins won 6-1, 6-1 at first singles. Lehman Catholic’s Sam Gilardi stretches to get a backhand return shot during a match against Piqua on Thursday in Sidney. Gilardi won 6-0, 6-0 at second singles. 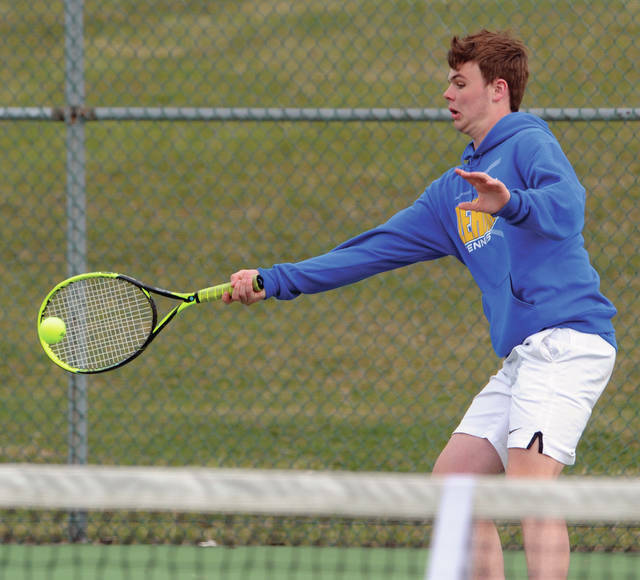 SIDNEY — It is two high school tennis programs at completely different points. Reach Piqua Daily Call Sports Editor Rob Kiser at rkiser@aimmediamidwest.com.